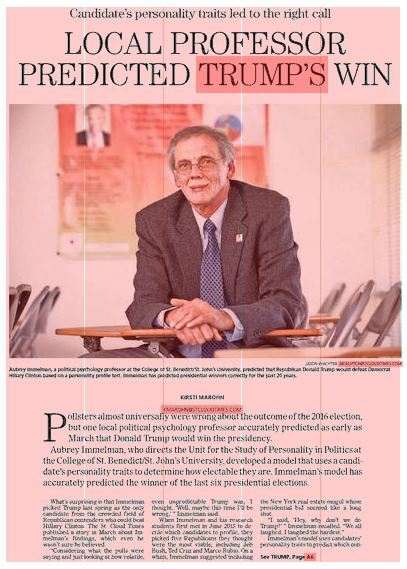 Pollsters almost universally were wrong about the outcome of the 2016 election, but one local political psychology professor accurately predicted as early as March that Donald Trump would win the presidency. Aubrey Immelman, who directs the Unit for the Study of Personality in Politics at the College of St. Benedict/St. 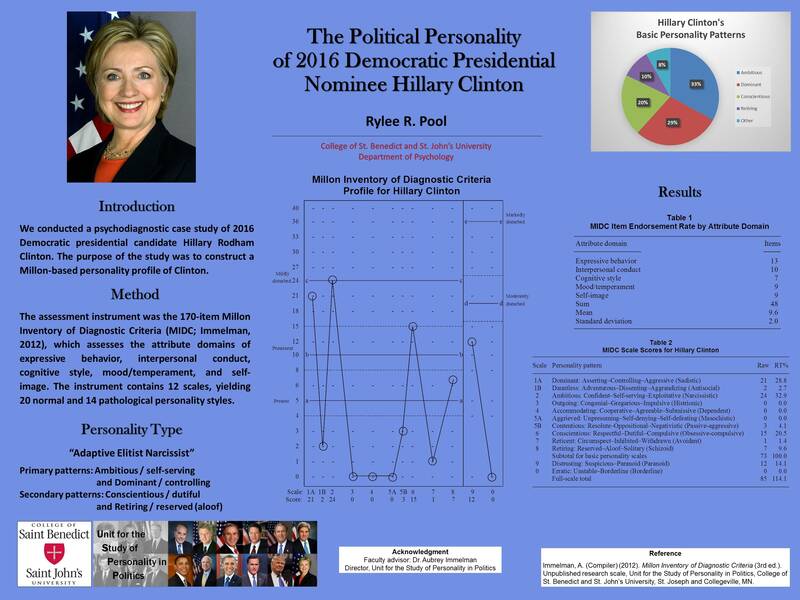 John’s University, developed a model that uses a candidate’s personality traits to determine how electable they are. Immelman’s model has accurately predicted the winner of the last six presidential elections. What’s surprising is that Immelman picked Trump last spring as the only candidate from the crowded field of Republican contenders who could beat Hillary Clinton. The St. Cloud Times published a story in March about Immelman’s findings, which even he wasn’t sure he believed. 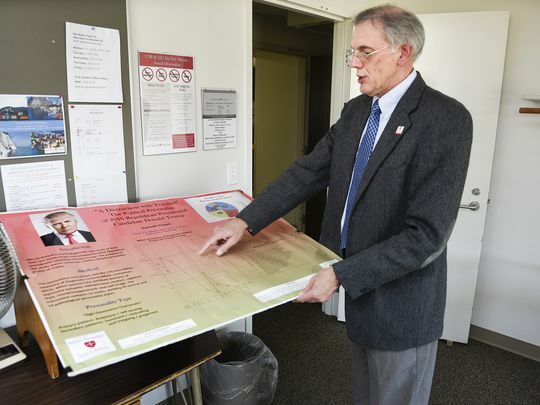 “Considering what the polls were saying and just looking at how volatile, even unpredictable Trump was, I thought, ‘Well, maybe this time I’ll be wrong,’ ” Immelman said. 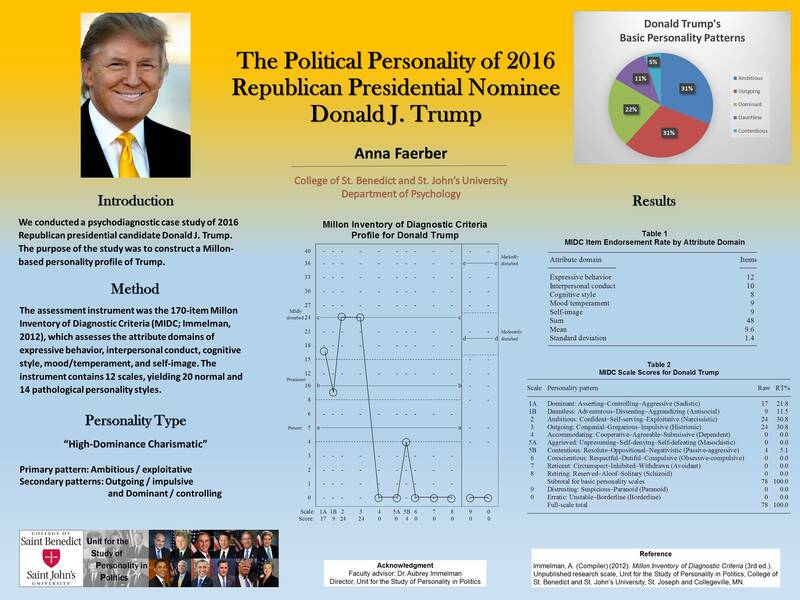 When Immelman and his research students first met in June 2015 to decide which candidates to profile, they picked five Republicans they thought were the most viable, including Jeb Bush, Ted Cruz and Marco Rubio. On a whim, Immelman suggested including the New York real estate mogul whose presidential bid seemed like a long shot. 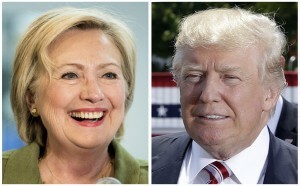 Immelman’s model uses candidates’ personality traits to predict which contender will resonate most favorably with independent voters, who make up roughly one-third of the electorate and frequently base their choice primarily on a candidate’s personal qualities rather than party allegiance. The model looks at some key personality traits that voters respond positively to during campaigns, including whether a candidate is introverted or extraverted and how narcissistic, dominant and conscientious they are. Trump and Clinton scored equally high on narcissism, while Clinton scored slightly higher on dominance than Trump, Immelman said. However, while Trump scored very high as an extravert, Clinton is far more introverted, Immelman said. Introverted candidates — past examples include Al Gore and Jeb Bush — have more difficulty interacting with people on the campaign trail. And Clinton is highly conscientious, but Trump scored close to zero, Immelman said. While conscientiousness might be an admirable trait in a president, it’s not always an attractive feature in a candidate. “She’s very prepared and programmed, and very prudent and cautious,” he said. Immelman wasn’t sure about his findings. His model assumes that all the candidates are vetted politicians who have served in Congress or as governor. He wondered how it might be affected by Trump’s unconventional background. “It turned out it was pretty robust, which makes it a pretty powerful predictor, I think,” he said. Although most major polls inaccurately predicted a Clinton win, Immelman notes that he wasn’t the only academic who used social science models to get it right. He points to Allan Lichtman, a political historian at American University, and Helmut Norpoth, political science professor at Stony Brook University, who both projected a Trump victory. Immelman calls his model simplistic, and said he’s never even considered it scientifically significant enough to have it reviewed by peers. He acknowledges that many factors, not just personality, played a role in Trump’s win. Immelman notes that his model only predicts the ability of a candidate to get elected, not how well they will do in office. 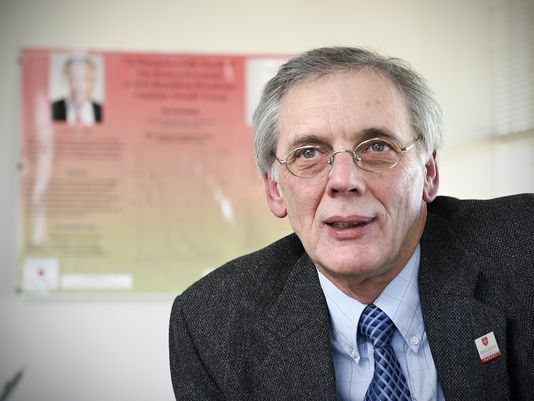 “When it comes to governing, actually, I don’t think it predicts success,” he said. 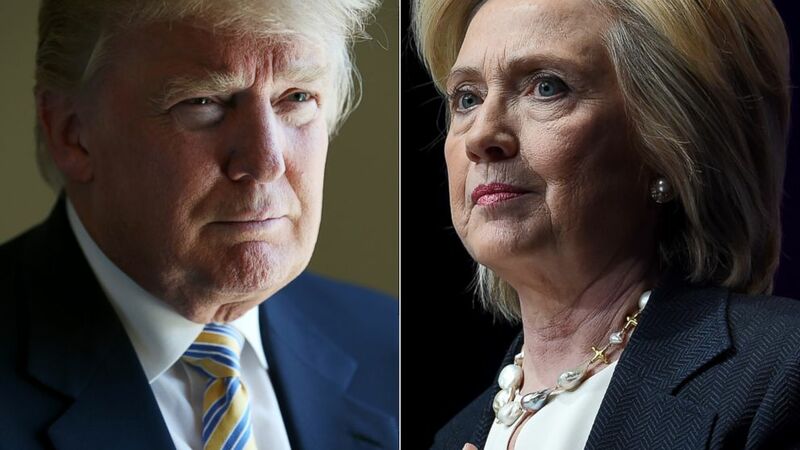 Meet the election oracles … they predicted Donald Trump’s rise. They’re mostly professors, although two pollsters also got it right, and one media personality (Michael Moore). Some are economics researchers.